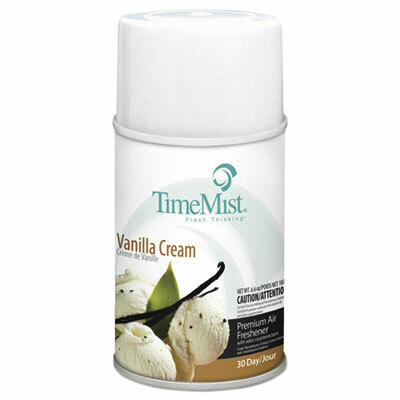 1042737 TimeMist Air Freshener Refill, Vanilla Cream, Aerosol, 5.3 oz (30 Day) – 12 per Case/Carton. Includes 12 metered aerosol fragrance refills. For use with TimeMist Metered Aerosol Dispensers.